Samsung Galaxy X – Holds the future of Smartphones: Samsung is one of the finest smartphone makers we have ever seen. This year they have launched Galaxy S9 and S9+ phablets, one of the hottest selling product right now. They have revolutionized the mobile phone technology for decades and now its time to make a big move. We all are hearing about Samsung Foldable smartphone from past half decade but haven’t seen anything like that till now. Samsung is working on it from long ago, and now we think its time for the company to make it a reality with their upcoming Galaxy flagship device. Here we are going to talk over the rumors and updates of upcoming Samsung Galaxy X smartphone. Before we go into details of Samsung Galaxy X, we would like to give brief specs and features of present smartphone king Galaxy S9 & S9+. Samsung has unveiled these smartphones at recently held MWC. Now, both the devices are available in the market. The Galaxy S9 & S9+ runs over Snapdragon 845, 4 & 6GB RAM with latest OLED panels. Both devices come with 64GB storage that can expand further up to 400GB with an external microSD card. Here’s quick specs table for both the devices. 1 What will Next Galaxy S phone be called? 2 What is Samsung Galaxy X? 4.1 When will Galaxy X come out? 6.1 How Much Galaxy X costs? What will Next Galaxy S phone be called? 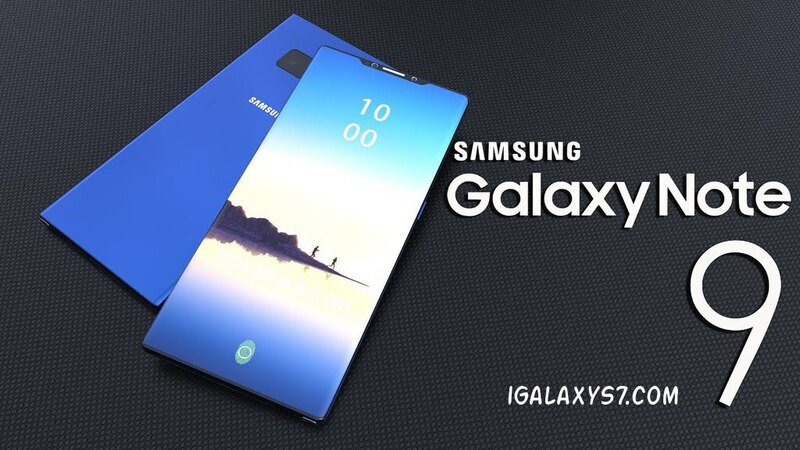 Well, there are lots of rumors burning over the internet as per the next Galaxy Phone name is concerned “Is Galaxy X will be next Galaxy S10?”. In this MWC 2018 conference, we have heard a lot about Galaxy X from Samsung Boss. As per him, rather being first to launch a foldable Smartphone into the market, Samsung will focus on durability and stability of it. That means Samsung right on to the path of launching a foldable smartphone in future. However, the name isn’t confirmed yet. What is Samsung Galaxy X? The foldable smartphone isn’t to Samsung. In 2011, Samsung came up with a foldable smartphone prototype. A bunch of concept videos also came out that time, like a fully transparent display that can be bendable as well which clearly shows Samsung’s ambitions for foldable technology. However, later they got many production issues and the project got delayed. In 2013, the company has launched Galaxy Round followed by Galaxy Note Edge, both phones aren’t close to foldable but have round edges that have given new hight to Samsung in the smartphone market. Later they have substantially improved these edges and we got Galaxy S7 Edge in 2016. But still, it is not even close to foldable display phablet. In mid-2015, Samsung has codenamed it to Project Vally – a device that can be bend (can be folded) and supposed to come in both high and mid-range. 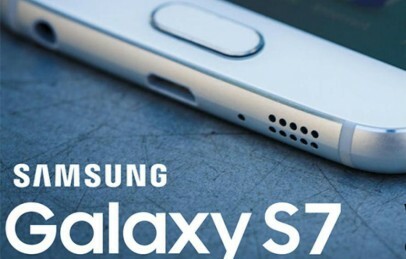 Later a report predicted Samsung can launch it by early 2016 but unfortunately we have seen that too. In May-2016, the Project Vally got the new name as Samsung Galaxy X. As per reports, it is going to feature a 4k resolution foldable display that means we will have really high resolution even when its bend / folded. The device was supposed to launch in 2017, and now we are in 2018 and still, there is no sign of it. 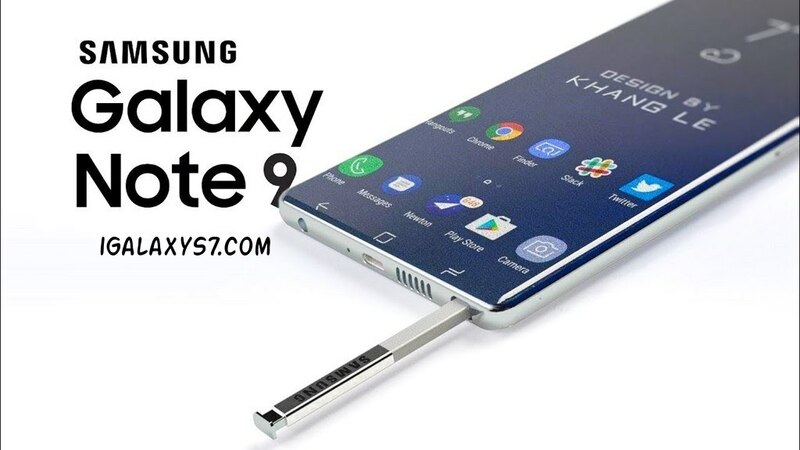 Now we think its time for Samsung to take a step further and launch one of most anticipated smartphone technology with its upcoming Samsung GalaxyX flagship. Here we are going to talk over all the specs, features, price speculation and release date details. So stay tuned, we just started with Galaxy X foldable smartphone now. Well the upcoming foldable Galaxy X device is in manufacturing right now and Samsung seems to be almost prepared for it. Its just a matter of time, once they believe this is the perfect device for their end user, they will surely launch it. The company is working from a long time over it, so they want it as perfect as they want. Apart from Samsung, LG another tech giant in display technology is also working over the flexible display tech. We might see something incredible with their upcoming LG G7 flagship as well. The upcoming Samsung Galaxy X smartphone is going to feature 4k resolution, it will be Super AMOLED display panel that can flex/ bend/fold too. GalaxyX is going to be a 5-inch display phone, that can transform into a 7-inch tablet once unfolded. The design is still not confirmed yet. This design seems to be very much near to what everyone expecting from upcoming Galaxy Flagship. Its thin, bright, vibrant and more importantly foldable. Although this is not official design and if you look closely you will find some Windows Interface over it. Let’s take a look at another concept which is slightly much closer to the Galaxy S9 when folded, and can be transformable into a tablet as well. This design includes 3.5 mm jack as well, a flexible hinge connecting two separate display that allows it to get the fold. This design also contains speakers at the bottom, curvy edges as we have seen in predecessors and features AMOLED technology. Samsung is in no hurry to launch its first foldable phablet as they are already working on it for past 6-7 years, they wanted it as perfect as Galaxy S9 and s9+ with the ability to fold. As we all know Samsung always announced its Galaxy S flagship in MWC or somewhere around it. Taking that into account many of the tech enthusiasts are predicting MWC 2019 as the best platform to launch world’s first foldable Smartphone. When will Galaxy X come out? Samsung will announce its GALAXY X Foldable smartphone flagship by next end of February 2019, via MWC 2019 event. Although release will take a bit longer, it may be available in market from second week of March. Samsung is known for delivering really high-end specs with their flagship phones. Recently launched S9 & S9+ phones features 4GB & 6GB RAM respectively and runs on Snapdragon 845 (for US / China) or Exynos 9810 octa-core chipset. This all with super bright AMOLED panel, latest GPU, awesome camera back & front with curvy design makes its one of the best smartphone available in the market. You can read detailed specs for Galaxy S9 flagship here. It’s going to change how we see and use a smartphone today. With GalaxyX new era of mobile computing will begin. There are various hot rumors are out over the internet like, its Galaxy X will have the 5G technology, 4K display, and more importantly flexibility to turn into a tablet. Although nothing is official at the time now. So, it’s just the beginning we still have more than half year. Let’s see how Samsung plays there cards. Meanwhile, we have studied all the intel that available right now and came up with a promising Samsung Galaxy X specifications. Galaxy X Design & Display: There are many possible renders and designs already making breakthrough every week. There are mainly two possibilities as per the design is concerned, one is Samsung will have the fully foldable display that can transform into a 7-inch tablet (horizontal fold). For that, they may have two 3.5 inch display panels attached to each other and one 3.5 inch display panel at the rear side, to let everything accessible even when the smartphone is folded. You can see this concept above. The possibility is, we may see a bendable Galaxy Note 8 kind of smartphone. that can be foldable (vertical fold) too like you see in below concept. Both the design seems superb and great in their own manner. It is now up to Samsung what they want to deliver to next-generation Galaxy Users. Galaxy X Processor & AI: Samsung is working over it in-house Exynos 9820 that is 10nm octa-core processor, the GPU unit will be also in-house. They will also have Snapdragon X50 model too for US and China customers. As per reports, Samsung might be looking to advance its UI with something really lite and high performing user interface over Android like Oneplus has done with its Oxygen OS. The Galaxy X will also have inbuilt Artificial Intelligence with Bixby. It may have 5G connectivity enabled too as Qualcomm is designing its new processors with regards to 5G availability in near future. So, we are going to faster data connectivity. Galaxy X Camera: Well, it seems like upcoming Samsung smartphone will take Galaxy S9 camera unit with few tweaks in it. Presently we have f/1.5 aperture dual lens camera setup in S9 which is the best camera you have ever seen on any smartphone. It performs really well even in low lights. Samsung always provides value to its users, and won’t compromise on hardware and performance. Recently launched Galaxy S9 & S9+ models are currently available at a price of $720 and $845 USD over Amazon in the United States. Although we haven’t got any big leak from an insider, we can still make an assumption based on its specifications and features. Here we came up with an expected price table for Galaxy X phablet. How Much Galaxy X costs? Note: The above mentioned priced is for 64GB model Galaxy X phablet only. The price for 128 gig model will be high. So, hopefully, this is all that we know so far about Samsung Galaxy X phablet. Reports are also claiming that it is under manufacturing processes. Well, we can say not whole device but yes many subsequent parts have already begun taking orders. We will let you know every single update regarding upcoming Samsung phablets right here. So, you can subscribe to us by clicking the Red bell icon. If you have any thought or wanna raise any question feel free to comment it down below.